Earlier this week, I wrote a story on the unveiling of HTC’s new virtual reality headset, Vive VR. Based on everything I’d read up to that point, I classified Vive VR as a true contender (i.e., not a smartphone strapped to your face) and described it as the Oculus Rift’s first serious threat. In hindsight, after having read more than half a dozen first-hand accounts from those in the media that have tried HTC and Valve’s creation, my casual description of Vive VR was deadly accurate. Select members of the media in Barcelona covering Mobile World Congress as well as those in San Francisco for the Game Developers Conference were given the opportunity to try out Vive VR. Participants were taken into a secluded room with hardly any furniture. Cameras weren’t allowed but by all accounts, the hardware is still in an early stage with wires and tethers dangling all about. Even the unique controllers – described as Nintendo Wii remotes with clickable touchpads under the thumb, triggers for the forefingers and squeezable grips for the remaining fingers – were wired. Everything should be wireless by the time it ships to consumers. Once equipped with the headset and controllers, users took part in four different demos over the course of half an hour or so. The first was an underwater scene in which users could explore a sunken ship and interact with fish as they swam by. In another demo, wearers got to prep and cook food in a virtual kitchen. A third demo let wearers witness a virtual warzone between toy soldiers while the final demo was an interactive Portal short movie. What makes Vive VR stand out from the crowd is its positional tracking. It uses a pair of sensors mounted in the room you’re in to track the headset and the two controllers to allow the virtual world to respond to your every movement as if you were really there. Immersive is a word that I’ve come across time and time again. Many described it as the most immersive VR experience yet, something that should have Facebook-backed Oculus VR very worried. The key to virtual reality is just this, immersion. If you don’t feel like you’re 100 percent in the virtual world, the whole effect goes out the window. Perhaps that is why I’ve lost interest in gaming as I’ve grown older. When I was a kid, it was easy to get lost in a video game but now I realize how far-fetched everything is which is a serious buzz kill. 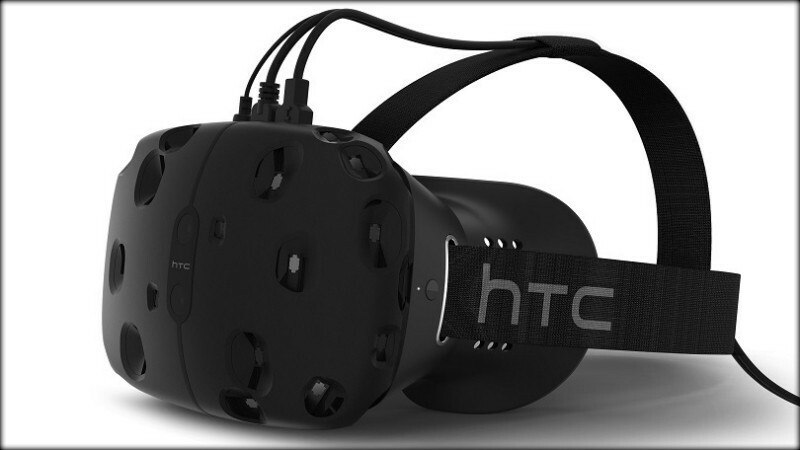 Could virtual reality – with its believable immersion – revive my interest in gaming?